Do you want a home that’s beautiful inside and out? Perhaps you’re looking to put your house on the market, and it needs to be spruced up a bit. Come to Southern Front Doors and explore your options! We can provide you a door that will bring the life out of the house. A door has the ability to complement and harmonize with every other aspect of the house. It can make or break the aesthetics. If you want to sell your house, we can help you increase your home’s worth. Potential buyers will be so enticed with the new changes. That’s why our blog post today will go in-depth on how you can increase your curb appeal with a new door and enjoy the spoils it will reap. Take a look at this beautiful oil finish on our stained doors. In the case that you’ve been living in your house for a long time, or it was built 5-10 years ago — maybe even longer ago — you might be able to notice the effects of age. Evidence can be found in the color of the paint, from a distance it can look washed and dull, it may have faded from too much time in the sun. With a closer look, you might find the paint job chipping or it could appear warped from years of battling the elements. In more extreme cases, doors can succumb to rotting where the interior becomes sickly and unsound. There are a lot of reasons that your door might show to hint that you’re in need of a new one. For instance, the security might also be out of date and ineffective. It is imperative that you keep up to date with all of your home’s amenities. 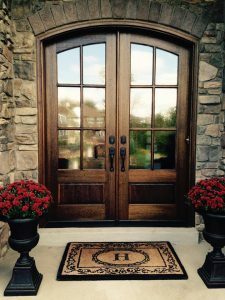 The details should not be overlooked because a front door is a gateway into your home, after all. It would be dangerous to leave it susceptible to break-ins. Older doors do not have the same sort of protection, and their locks are not state-of-the-art, like ours at Southern Front are. How To Select A New Door? You’ll want to pay attention to several key factors when selecting a new door. First, there is the question of integrity. Can it provide you with protection from all of the threats that the world could pose? That would entail physical protection from burglary, chemical protection from bugs and mold, and having certified storm protection measures in place. You should consider all of these, especially in this generation when technology has made such huge strides. Where Can I Get The Best Door? At Southern Front, all of our doors provide these safety precautions as a standard. We understand the needs of a 21st-century homeowner, and we aim to deliver. If the colors are preserved and the dangers of rot or theft are non-existent, then the only thing separating you from the highest curb appeal possible is picking the best look. Fortunately, Southern Front can take care of this, too. Our top of the line selections in wood, steel, wrought iron, and fiberglass will amaze and astound. With thousands of offerings, we make finding the perfect door for you as easy as can be. The only challenge left is deciding what kind of style fits your home best. 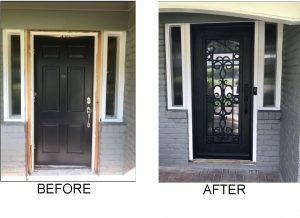 Contact Us To Increase Your Curb Appeal With A New Door! 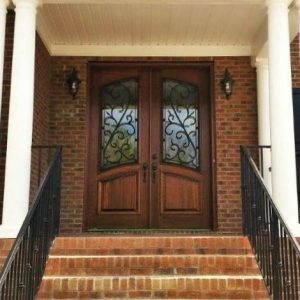 Southern Front Doors know that you want to find the best fit for your home. We’re here to help you find the option that makes your house look more beautiful than ever. One that has both superior function and aesthetics. With a new door that is secure and stylish, you can empower your home with a brand new charisma and command a presence on your street. With the right home improvements, you can make the model house that every homeowner is inspired by!